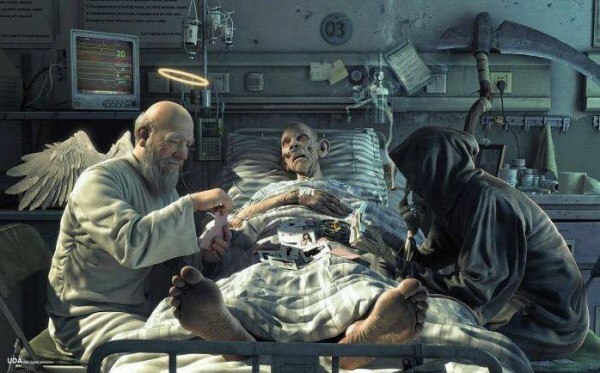 From >>>Here<<< A trucker in Ohio shocked hospital staff after coming back to life nearly an hour after he lost his pulse following a massive heart attack — but it’s what he claims to have seen during those tense moments that has him sure there’s an afterlife. Brian Miller, 41, was opening the lid of a container when he knew something felt wrong — he immediately called 911 and told the operator, “I’m a truck driver and I think I’m having a heart attack.” Sure enough, his main artery was completely blocked — causing what’s known as a “widow-maker” heart attack He was rushed to a local hospital where doctors managed to revive him and clear the blockage, but after regaining consciousness and feeling the pain dissipate, he developed ventricular fibrillation, when the heart starts quivering wildly and is unable to pump blood. “He had no heart rate, he had no blood pressure, he had no pulse,” said ICU nurse Emily Bishop. “I mean think about that.” Doctor’s performed “strong, hard, fast CPR” and shocked Miller four times to try to revive him, but had no luck. I read an article recently that suggested that as many as 20 million people had had Near Death Experiences, and that despite Materialist monists fervent denials, there has been accounts which have ‘independent’ corroboration, and also other interesting ‘anomalies’ such as blind people ‘Seeing things’… for which the term ‘Mindsight’ was coined. These experiences suggest that consciousness, thought, memory, etc carry on after Zero brain activity…. 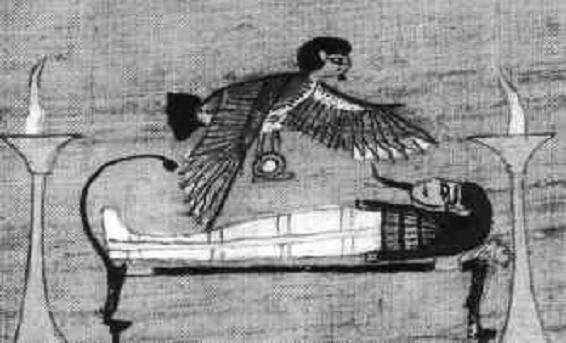 which supports the Dualistic theory of Body and soul… thwarting Monism which insists all our personality and consciousness is generated by the brain. I find the article is interesting because it articulates my own scepticism about Materialist scepticism for Spiritual realities. 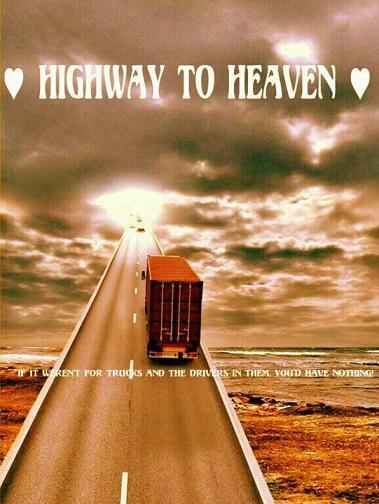 The truckie story above is a classic example of *What really happens at death* … ALOT!…. which Materialists have to reduce down to illusion. I actually have a Jewish friend who died in a Car crash… was dead for several hours… and revived. She reported seeing Jesus (which was a surprise… being a Jew), and meeting her Gand Father who said Nanna will be ‘here soon’. She reported all this to her parents, and within a few weeks… Nanna had passed away. None of this is explicable via notions of ‘hallucinations of a dying brain… loss of oxygen, etc’… Monitors detect Zero brain activity, and when people temporarily black out from lack of Oxygen they experience confusion and or memory loss, not Lucidity of thought… not vivid memory… and their black outs are not *Life altering*…. *perspective Game changers*…. which is a very common result of Near death experiences. Objectively speaking, these experiences ought not to be written off as delusion simply because they don’t fit well with the common assumptions of the Material paradigm. The Free thinker will be open to consider greater possibilities…. even if the evidence demands a person to forsake their cherished assertions. Trust me, I’m a neurosurgeon. Even if the evidence contradicts what the KJV clearly teaches, Tim?